Yes. You read that right. These cookies are outrageous. 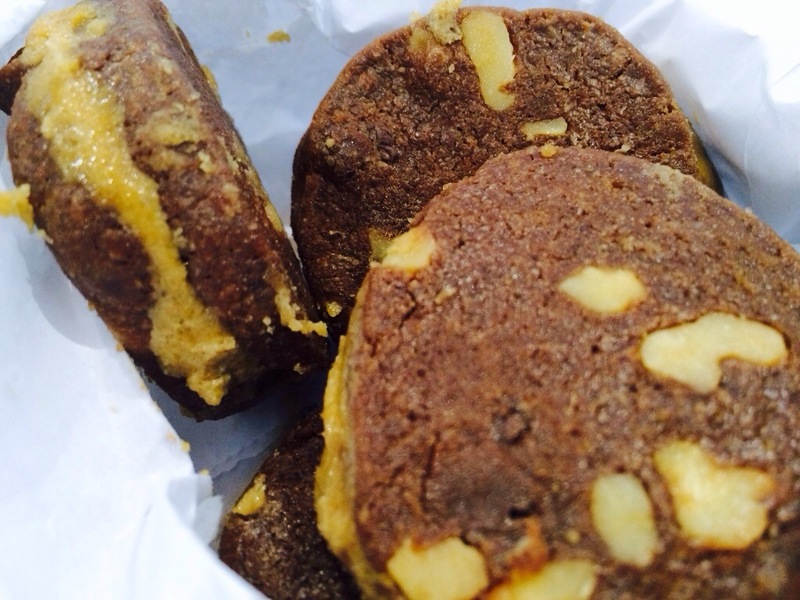 I’m gonna warn you up front – they just won “Most Addictive” in my office cookie competition…oh, I mean swap. Hey, why not?! It’s Christmas! Let’s just go for it, shall we? 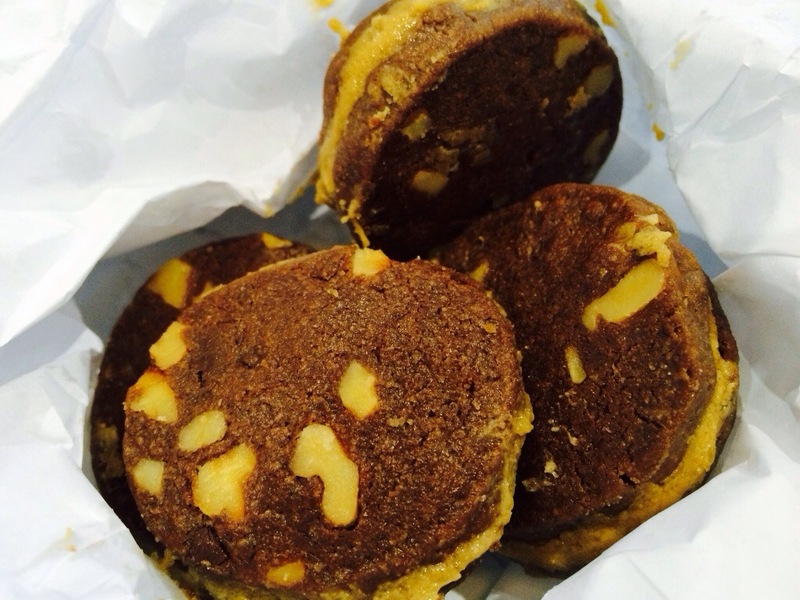 You can skip out on something else later, but these cookies should not be passed up. 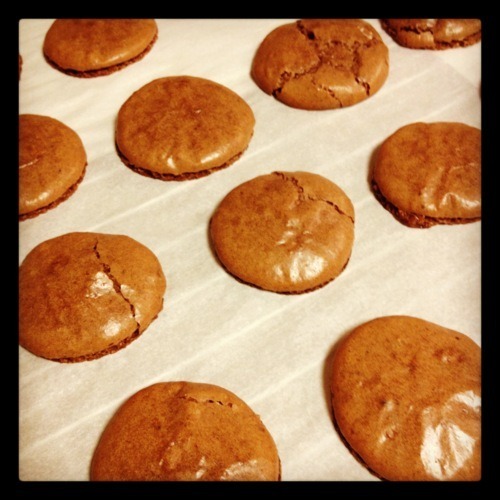 They should also be the star of your Christmas cookie production line this coming week. I am a little biased though, because I happen to (correctly) believe that salted caramel is the stuff of gods – you could put it atop practically anything and it would sing with that heavenly sweet and salty river of flavor that rushes over your taste buds making your heart skip two beats and your knees weak. …did I go too far? What can I say? It’s cookies like these that make me really really love running. 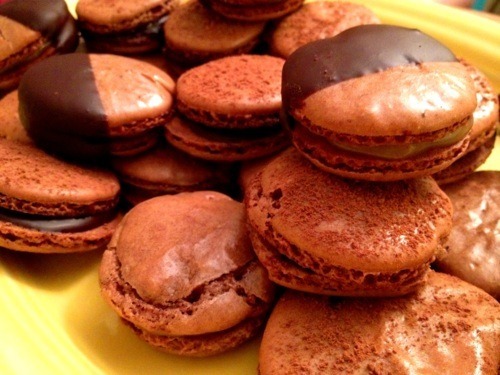 I made a chocolate macaron cookie with three different combos: one with a salted caramel filling, one with a chocolate ganache filling, and finally a salted caramel filling dipped in chocolate ganache. Oh. My. The inspiration all started with a surprise in the mail! I thought I had a small little something arriving from a friend, but NO! 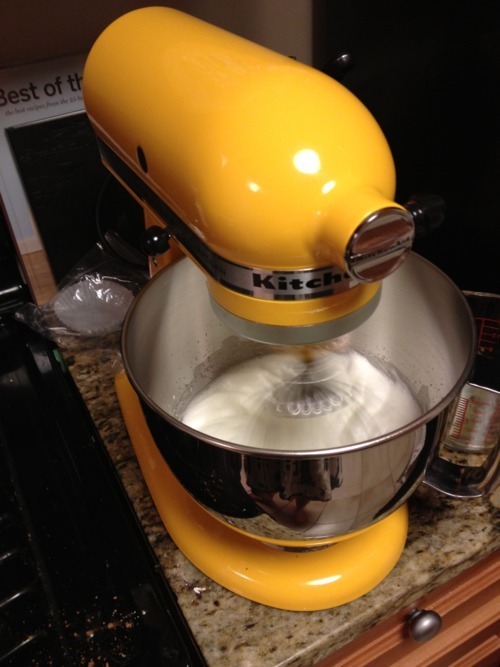 It was a HUGE box marked with perhaps four of the best words ever combined, “KITCHEN AID STAND MIXER.” AND IT’S YELLOW!!!!!!!!!!!!!!!!!!!!!!!!!!!!!!!!!!! :D Best surprise ever, Mom and Dad! So the inaugural recipe had to be epic. And epic it was, my friends, epic it was. They were met with open arms, and divine praise. I think the salted caramel dipped in chocolate ganache was my fave. Il s’avère que les macarons ne font pas peur, après tout. 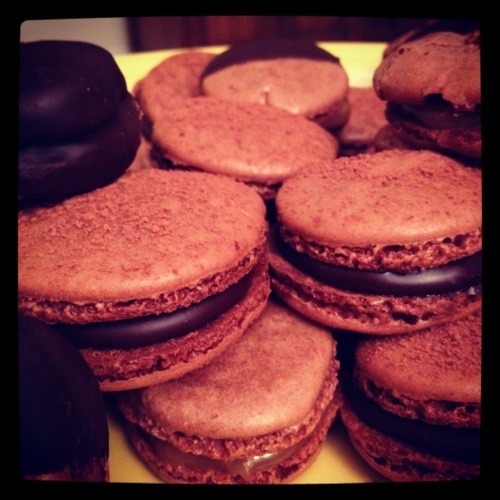 It turns out that macarons aren’t scary after all.